We are currently moving our farm to the new location and due to the amount of work we are not offering seminars at this time. If you are interested in getting notifications on when we start them up again, please signup below. 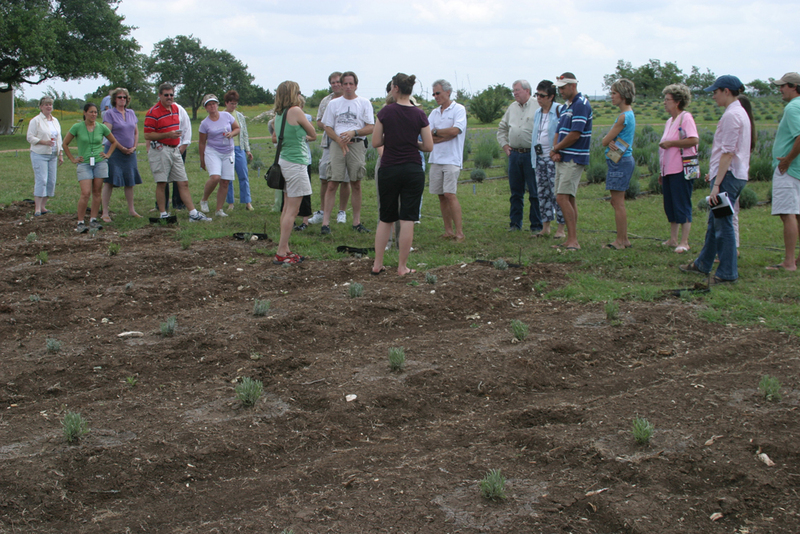 The Seminar will be held in our field with lunch, five lavender plants, and our growing guide with our ideas and information for starting a lavender business (value $35.00) is included in the cost of the workshop. The workshop is particularly geared to those who want to grow lavender as a business. The information we will share has been gathered over the years, and will provide the nuts-and-bolts information needed to start a lavender farm. Much of the knowledge we have comes straight from lavender farmers in France, where we first got the idea for growing lavender in the Hill Country. We’ve also collected information from a lavender grower and broker in Oregon and a specialist with Texas A&M University. The rest of our knowledge has come to us the hard way, from trial and error and lots and lots of work.